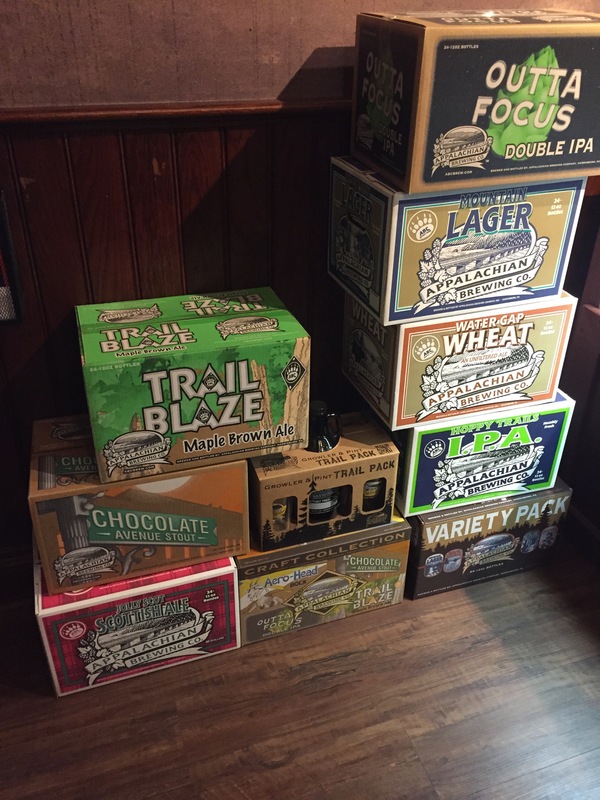 Today my parents and I headed out to check out a little bit of the Perkiomen Trail which is a 20 mile, multi use trail in Montgomery County, PA. We wanted to go for a bike ride and I wanted to check out someplace different – I read about some people who hiked a bit of this trail, ate at the Appalachian Brewing Co, and then hiked back to their cars – what an awesome idea! 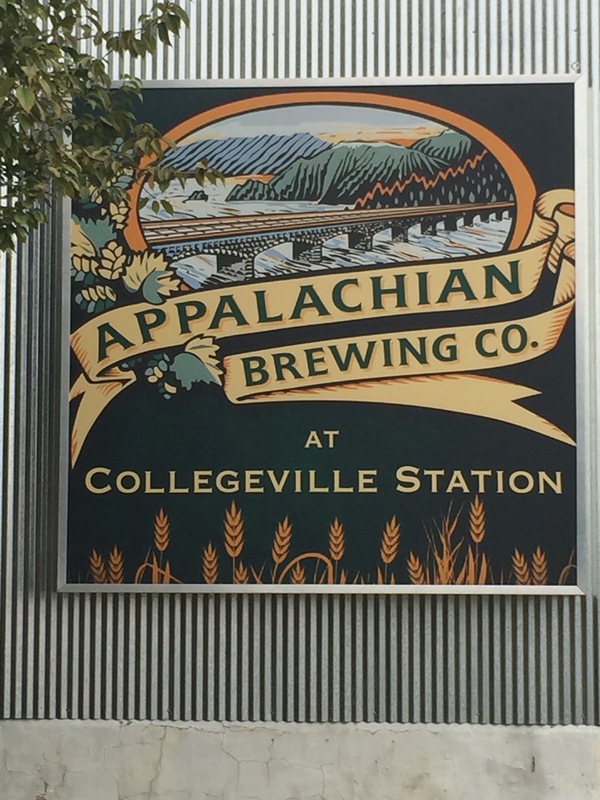 I had never eaten at an Appalachian Brewing Co so I was excited about that too! 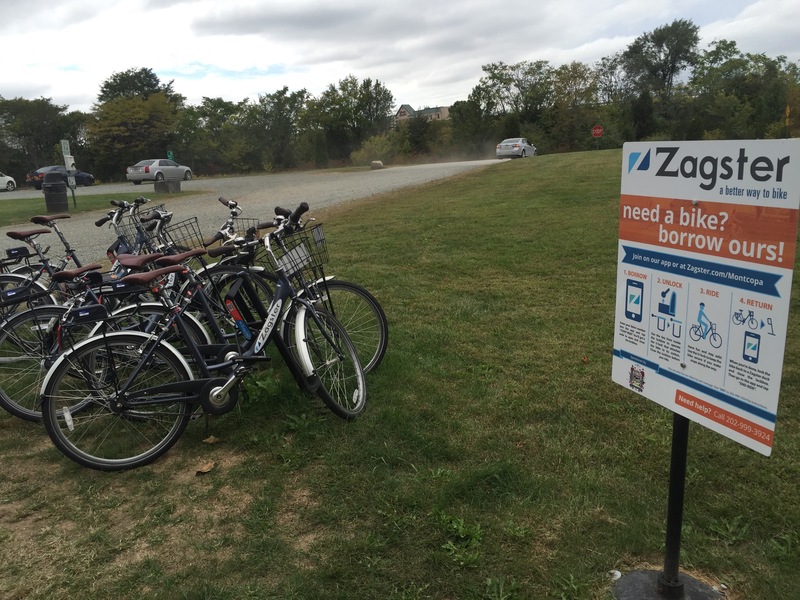 We grabbed our bikes and headed out – we parked right in the parking lot for ABC in Collegeville, PA. The parking lot was huge and there was an opening in the fence to get right on the trail. 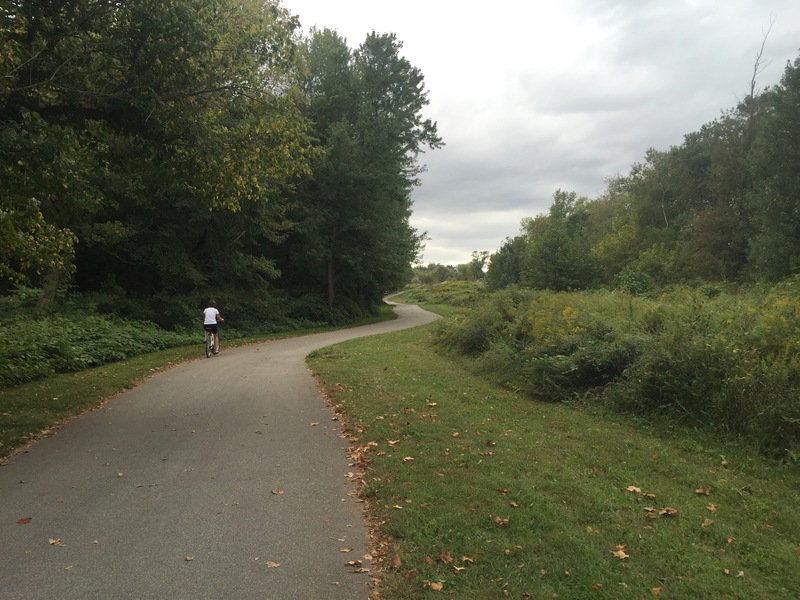 We decided to head south – it was only 5 1/2 miles to where the trail meets up with the Schuylkill River Trail. 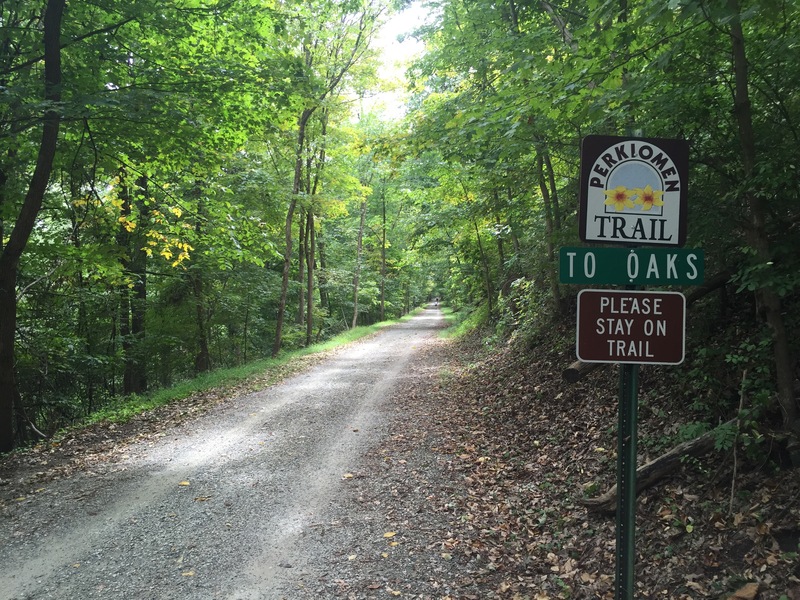 The trail started off as gravel and rocks and there were a few road crossings. About 1/2 way to our destination the trail was paved so it was very easy to ride on! This section of trail had a few more ups and downs than other bike trails I have been on, but they weren’t bad at all – just a little tricky on the rocky sections because you slide around a little. 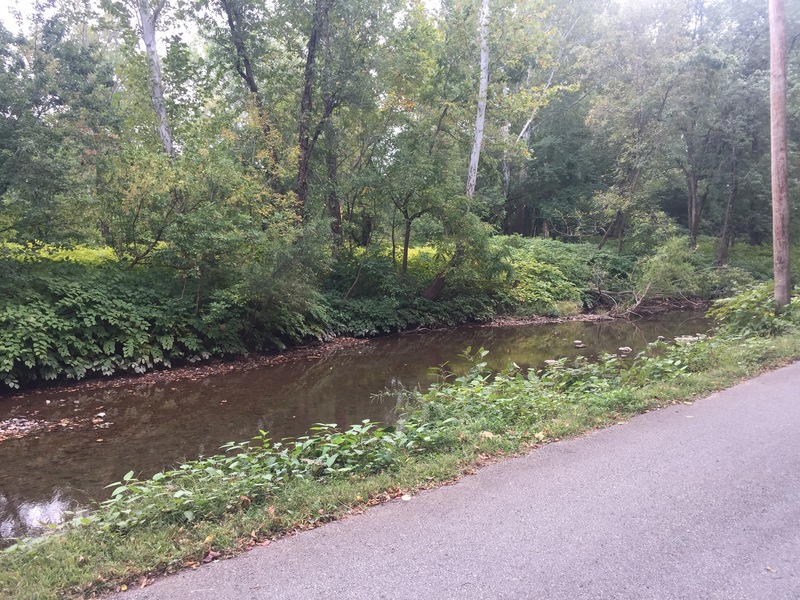 The trail went through the town and then went into the woods by the Perkiomen Creek- I love trails that follow water. There is something so relaxing about moving water – I really think I could watch it all day! 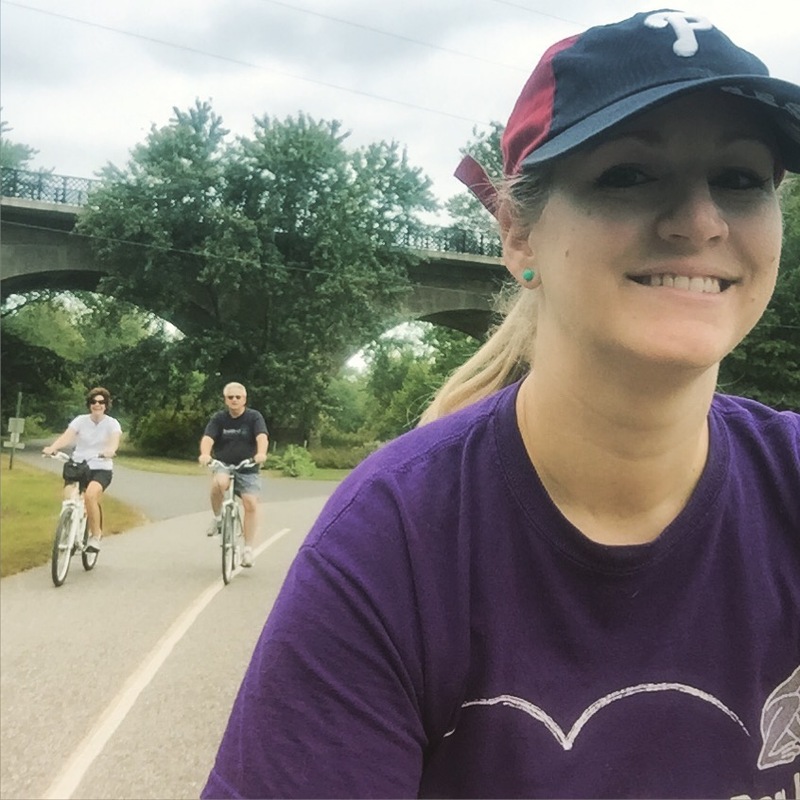 We got to where the trail turns into the Schuylkill River Trail and took a little break – it was starting to get cloudier and looked like it could rain. After snapping a few pictures we turned around and headed back to the parking lot. 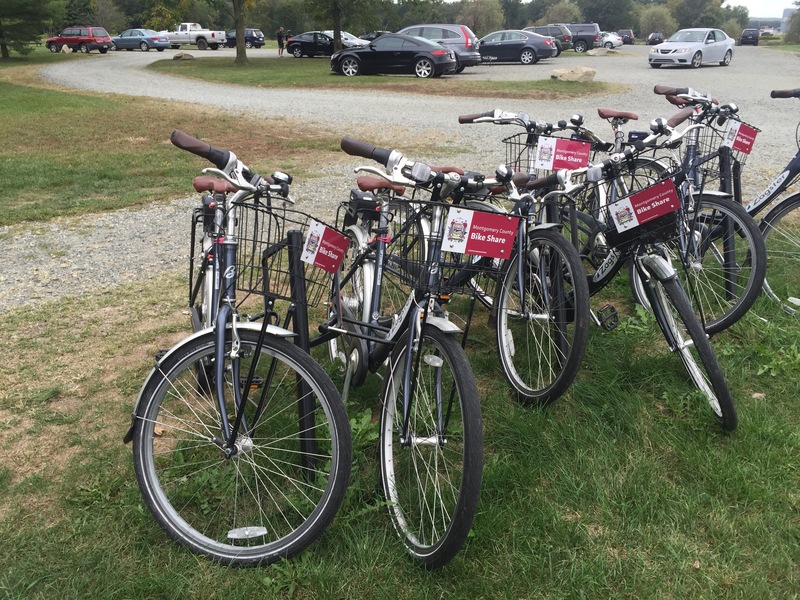 On the way back I noticed a bunch of bikes next to each other – turns out you can rent them and return them right there from an app! How awesome! We did about 11 miles round trip today – such a nice day to be outside and it never did rain!